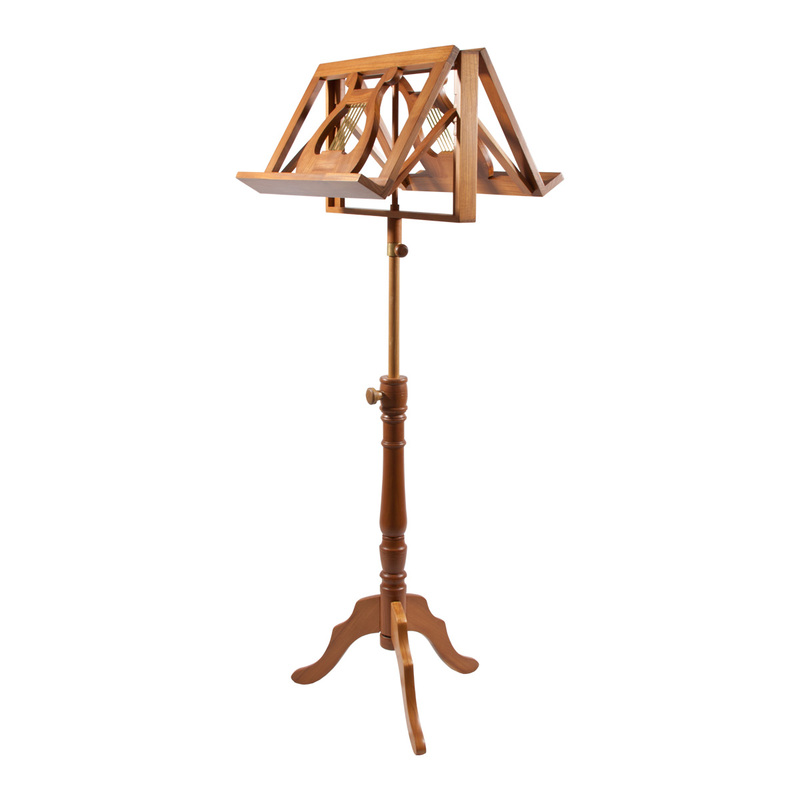 Early Music Shop Regency Music Stand Double Tray Red Cedar Adjustable. This solid red cedar music stand has a double sided rack for two musicians. It has adjustable height and tilt, and is designed by The Early Music Shop of Bradford England. Each music rack adjusts independently to a number of notched positions. Approximate measurements are as follows: Height adjusts from 35 inches minimum to 53 inches max from floor to shelf and 46 inches to 65 inches from floor to top of stand. The book shelf is 19 w x 12 inches tall.